Based in Gulf Cooperation Council (GCC) region, Eram Group is a diversified conglomerate mainly operating in Oil & Gas, Power & Utilities, Travel, Food, Healthcare and Automotive sectors. Eram Group has its global headquarters in AL Khobar (Saudi Arabia) and regional headquarters in Dubai (UAE). 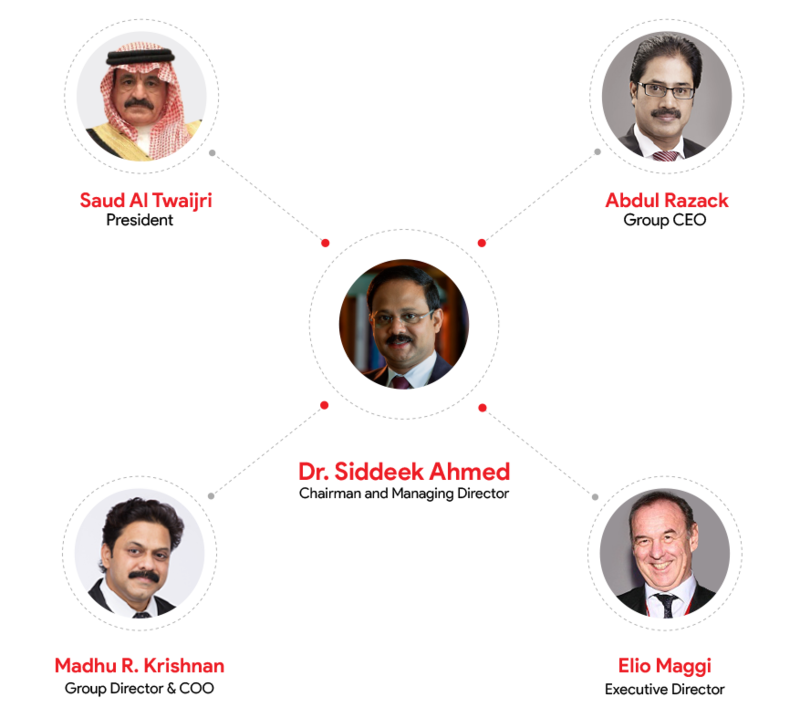 From humble beginnings in the 1990’s and under the charismatic leadership of Dr. Siddeek Ahmed, Chairman and Managing Director, Eram Group has now grown to over 40 well-managed companies with strategic locations in Asia, Europe and North America. Eram Group has also successfully established social enterprises in public sanitation and educational sectors, which has won global acclaim. Group concerns such as ITL World – one of the GCC’s top travel management companies, and Eram Scientific – a world class R & D firm providing award-winning sanitation solutions, are widely recognized for their heritage of quality service and innovations. Even being a first generation family business, Eram has achieved phenomenal growth and earned an impeccable reputation, owing to its professional and customer-focused approach. Eram has created winning partnerships with globally renowned firms and has won world class clients. Eram Group is committed to society and social causes. The group invests its resources in making the world a better place through efforts to promote education, improve health and sanitation, empower youth and women, through its own charitable ventures and in collaboration with humanitarian organizations such as the United Nations, Bill & Melinda Gates Foundation Governments and NGOs.